Be it gourmet dining date night like at Renaissance or hogging on local cuisines during our trip to Solapur, HubbynMe enjoy both kinds. 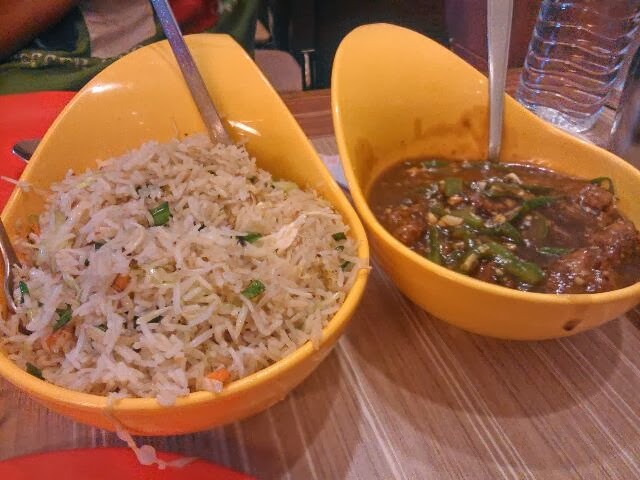 In our latest search for a new hangout HubbynMe found out Ashben's Chinese , a small Chinese food shack which is a big hit among the localities of Chikuwadi, Borivali West. 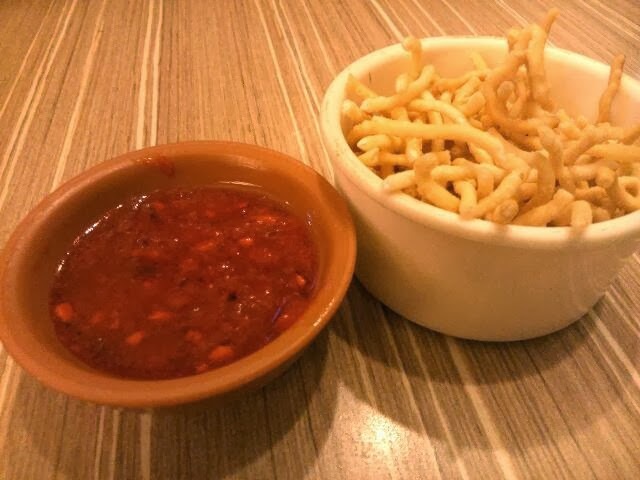 Out of all the cuisines the Chinese menu is close to all the Indian potbellies mainly because it is available on the Tapri- a roadside outlet which springs up after 6 pm and runs houseful till wee hours of the dawn. I was not associated with Chinese food until my grads year mainly because my folks despised the idea of food slipping down from the spoon. Eventually it was drilled down to Me and my Brother that, "Chinese ??? NO NO no no". We both grew out of it over the time in fact so did my dad but not my mom. Nope. Till date she has not yet reached consensus with Maggi Noodles, leave alone Chinese cuisine. Chinese food was introduced to me by my grad friends in Cantonese, Thane. Before that frankly even I was not much fan of Chinese Food. I always thought of it as crappy food served on the street stalls for few bucks and which would not be hygienic. I am thankful to my friends Deepali and Sid who changed the dirty picture in my mind into a palatable hangout by taking me to these Chinese Shacks. These shacks are not flamboyant restaurants but are a warm place to slurp on your one by two Hot n Sour soup. So over the years along with Indian and Italian food I developed taste buds for Chinese as well. In Mumbai, at many local junctions of the street one would still find the Red colored Chinese Tapri's which mainly are QSR joints for rickshaw and taxi drivers. A local hangout for them, well, I may still not go to eat there, but my maturity over the years taught me it is still a HANGOUT ,irrespective of the hygiene factor ,at least for them if not for you and me. To think of it now, all of us are associated with such a hangout be it Chinese shacks or Indian burger aka the vada pav tapri's either with friends, families or colleagues. And the best part, what makes these Chinese shacks attractive and separates them from great-fancy-gourmet restaurants ,is that they give you Fried noodles and Schezwan sauce to munch upon before they serve you with the appetizers and for FREE..Trying asking the steward for fried noodles at a fine diner, he might growl back at you. For Chinese HubbynMe found ours near to our home. Ashben's serve with great quantity and good quality. We also had Manchow soup between the fried noodles and main course but I was so busy gulping it down so forgot to shoot it. Next time will get a click, promise.